VIRGINIA’S NEW RIVER VALLEY – While Northern Virginia may feel far away, Amazon’s new HQ2 locating in Crystal City will have a major effect on Blacksburg and the entire New River Valley. Not only will Virginia Tech increase undergraduate enrollment, but it will also add over 100 jobs in Blacksburg. The entire Commonwealth of Virginia will be affected as the General Assembly looks to increase the “tech talent pipeline” by increasing computer science undergraduate degrees by 25,000 across Virginia by 2039. Radford University is slated to help in this initiative as well, especially with the IMPACT program, which is part of the Artis College of Science and Technology. 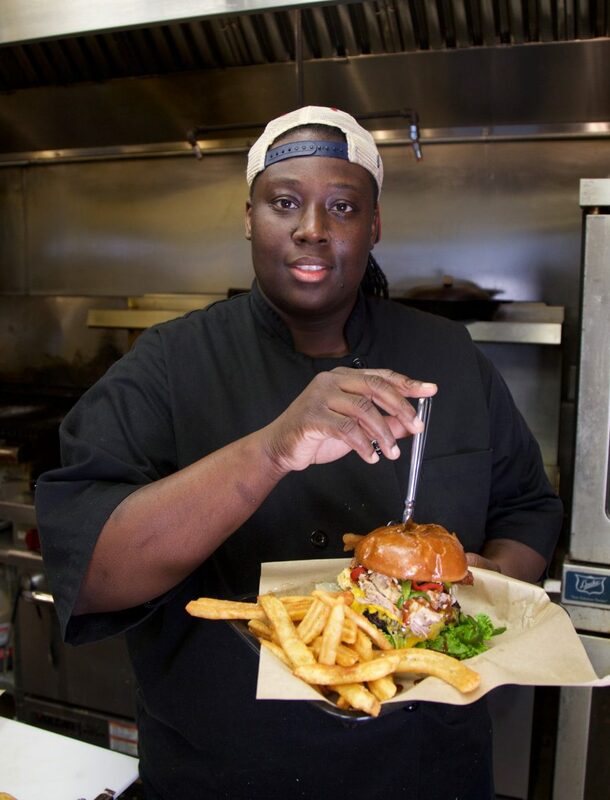 RADFORD, VA – When you think of Virginia’s New River Valley, “Hell’s Kitchen” or “Celebrity Chef” may not be the first thing you think of, but the NRV is the proud home of Chef Torrence Gregoire. Gregoire, who goes by “Chef T” was featured on “Hell’s Kitchen” twice, even coming in as runner up in Season 14. Chef T now serves as the Executive Chef at Radford University. She previously served as the Director of Culinary Operations at the Draper Mercantile. RESTON, VA – Industry leading companies and universities must work together to develop students with the right skills to face the challenges and needs of the global economy. To support the growth of tomorrow’s workforce, 1901 Group announces its partnership with Radford University’s (RU) Artis College of Science and Technology through its Applied Research Center (ARC) to help students achieve their academic goals and create broader career opportunities. To enhance the student’s educational experience and provide them with hands-on projects, Radford University’s ARC, an industry consortium, brings together students with industry partners to explore emerging enterprise technologies. The consortium provides real-world learning experiences and encourages students to interact with industry professionals thereby gaining the skills to communicate solutions effectively. For the past year, 1901 Group has been a founding sponsor with Radford University (RU) to support the future generation of tech students. Currently, 1901 Group is engaged with the University to add ServiceNow development skill-based projects to the undergraduate class curriculum, offering real-world experience within the 1901 Group environment. About 1901 Group, LLC: 1901 Group is a leading FedRAMP authorized managed service provider in the public sector market and delivers innovative IT solutions by leveraging our Enterprise IT Operations Center to provide 24×7 support of end users, complex IT infrastructure environments, and mission critical systems. We deliver cloud, cyber security, and enterprise scale managed services to transition customers from traditional on-premise IT infrastructure and support models to hybrid cloud solutions that improve performance and reduce costs. We proudly support customers that span federal, state, and local governments, including law enforcement and criminal justice agencies, and commercial markets. Customers benefit from our 24×7 Cloud Factory with FedRAMP authorization, ISO 9001 certification, and CMMI Maturity Level 3 appraisals. Visit our newsroom and simplify IT with 1901 Group. RADFORD, VA – The Radford University men’s basketball team took down the no. 17 ranked Texas Longhorns in Austin, Texas on Friday. This is the first time RU men’s basketball has beat a ranked opponent. With only 24 seconds left in the game, the Highlanders took the lead over the Longhorns. RU’s record is now 6-1 this year, which is the team’s best early-season record since their 1990-1991 season. For a full recap of the game, visit Radford Athletics. FROM RADFORD, VA – The City of Radford’s Economic Development Authority presented Thai This Express with a $10,000 Economic Incentive Grant on November 8. Thai This Express qualified for the incentive as they are located within the cities’ Enterprise Zone at 1401 Tyler Avenue. The Economic Incentive Grant is available to new businesses and is a financial incentive specifically designed for small businesses or entrepreneurs opening a new business within the zone. Upon the first anniversary of the date of the business license, the business may be eligible for reimbursement of applicable taxes remitted by the business in an amount up to $10,000. Thai This Express received the maximum incentive grant following their one year anniversary in October. Thai This Express ownership credits the community’s support for their continued success both with their food truck and permanent brick and mortar location in Radford. “We now know why Radford is called the “Heart of the New River Valley” – because of the love its citizens and the City’s business development community have shown our little business over this last year,” said owner Brian Lawson. Thai This Express has been a vital business leader in supporting the Radford community. During the month of November they continue their support as Thai This Express teams up with Vittles for Vets to help support local veterans. For more information on local and state incentives, please contact Blair Hoke, Economic Development Director at (540) 731-3603. VIRGINIA’S NEW RIVER VALLEY – The city of Radford was accepted into the Virginia Main Street Program as a Department of Housing and Community Development (DHCD) District Affiliate to help revitalize downtown Radford. 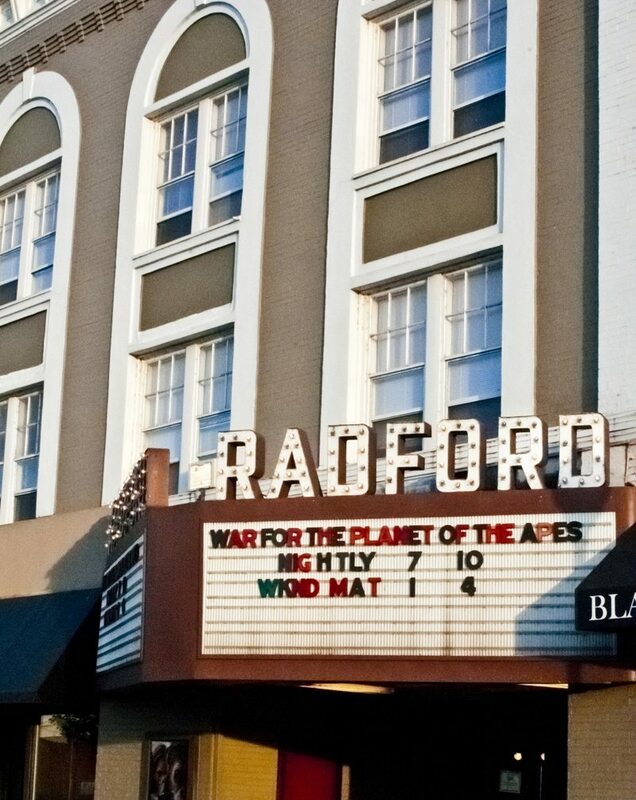 This means Radford has access to revitalization grants and training programs. The city hopes to become a Designated Virginia Main Street Community in the future. The city of Radford is a great place to live and work. Home to Radford University, it’s also a great place to receive a world-class education. Radford is consistently named a great place to live and downtown Radford can only improve by partnering with the DHCD. The Virginia DHCD aims to better communities in the commonwealth by developing economic potential, regulating codes, and investing millions of dollars each year into housing and community development projects. The DHCD partners with governments, nonprofits, and other groups to make life better for Virginians. The Virginia Main Street Program is an economic and community development program that assists communities to revitalize historic commercial districts. The program mainly focuses on small to mid-sized downtown areas. VIRGINIA’S NEW RIVER VALLEY – The Blacksburg-Christiansburg-Radford MSA (known as the New River Valley) was ranked the number 17 best college town in America (2017) by the American Institute for Economic Research. 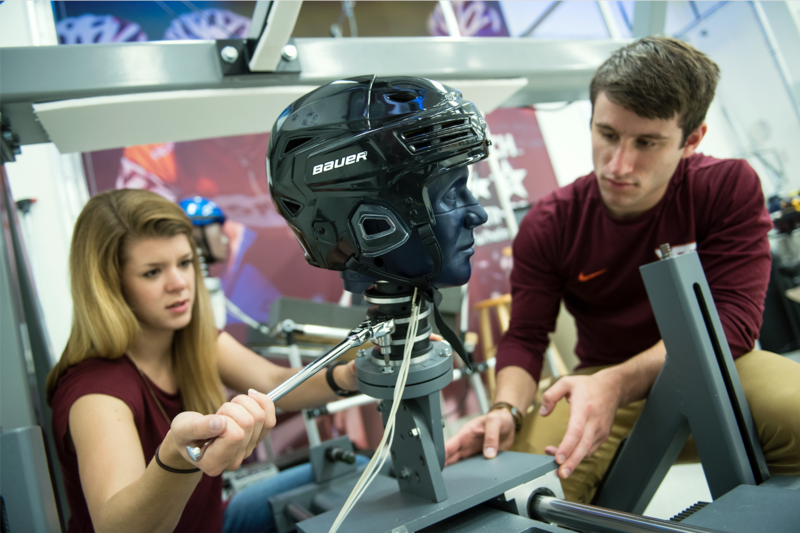 The NRV is home to over 40,000 students thanks to Virginia Tech, Radford University, and New River Community College. AIER compiled the Best College Town results based on economic, demographic, and quality of life data points. Each “college town” has a population of less than 250,000. AIER also gave the NRV the number 3 ranking for bars and restaurants. Virginia Tech and Radford University often receive accolades and top rankings for their academic programs and fun atmospheres. Most recently, Virginia was ranked as the #15 Best College Tailgate in the U.S.
For more info about the other college rankings, visit AIER. In 1970, a unique 24-foot diameter planetarium dome found it’s home in the New River Valley. Planetaria exist all over the world, but not many are like the one inside The Center for the Sciences at Radford University. The perfectly smooth semi-circular dome was constructed by Harold Lester and Ken Hall using a handmade 90 degree trowel. They added a thick layer of hard plaster to suspended wire mesh frame, which eliminated the presence of any seams in the special dome. Most planetarium ceilings are created with prefabricated panels, which have seams, and often allow light to “leak through” and create a minor distraction. The only break in the seamless dome at RU is the a small cap covering a sprinkler for required fire extinguisher system that was later installed. Now the planetarium staff often use it to help visitors locate things in the sky. The planetarium underwent an update and reopened in 2016 with 55 theater-style seats, a new projection system, and Dolby surround sound. For many years, the RU Planetarium has served as a great asset for science education in Virginia’s New River Valley. Frequent visitors include school groups, Scouts, community groups, and more. It makes education fun and entertaining for any audience. The Planetarium also participates in Science Days, which will relaunch in 2019 after the renovations of Reed and Curie Halls are complete. Science Days are day-long field trips that also feature activities with the Physics, Geology, Chemistry, Biology, and Forensics Departments. If you missed the latest show at the RU Planetarium, “Seeing! A Photon’s Journey Across Space, Time, and Mind,” this week, watch out for Upcoming Shows in the future. For more information visit the RU Planetarium Website. RADFORD, VA – USA Today named the Radford University Highlander mascot the no. 1 mascot. Out of the 68 teams in the NCAA Tournament, the Highlanders came out on top. Radford University is a huge asset to our communities. It doesn’t hurt that Highlander sports teams keep winning. Radford Men’s Soccer clinched the 2016 Big South Tournament Championship. Golf, Cross Country, Tennis, and more are consistent winners, and Men’s Baseball is unstoppable. Learn more at www.radford.edu. NEW RIVER VALLEY, VA – The men’s basketball teams in the NRV are headed to the NCAA Tournament. The Virginia Tech Hokies (no. 8 seed in the East Region) received an at-large bid and will face Alabama (no. 9 seed) this Thursday, March 15. After winning the Big South Championship last week, the Radford Highlanders will be play in the “First Four games today. They’re opponents are LIU-Brooklyn and the winner will be the no. 16 seed against no. 1 seed Villanova on Thursday. Read more from Mark Berman at The Roanoke Times. The Radford University Highlanders beat LIU-Brooklyn to make it to the first round. Radford was then defeated by Villanova. Virginia Tech also lost by 3 points to Alabama in the first round. While the Hokies and the Highlanders didn’t make it past Round 1 this year, there was a lot of love for these NRV teams. Radford alumnus and ESPN commentator Marty Smith showed his support, even letting Reggie Miller know he’d help him get to town for a game. Hit me up, @ReggieMillerTNT. I show you around the New River Valley. The NRV is such a special place. Not just because of our universities, but because of the people who attend them and populate the rest of the region. Whether you’re an alumnus, a long-time resident, or a new professional, it doesn’t take long to see Virginia’s New River Valley is A Natural Fit.